The Spotted Pony Rattle is a Cute rattle for babies. 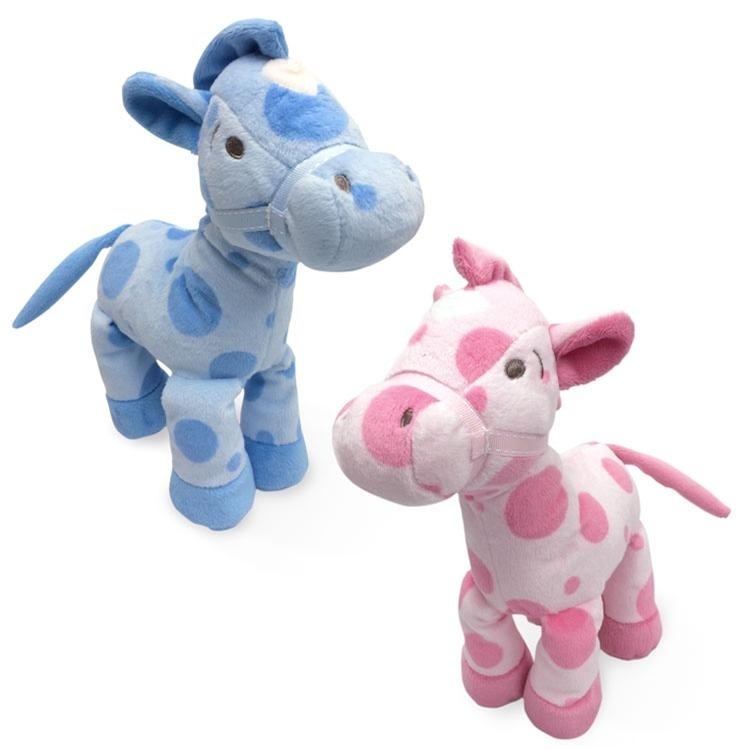 10.5" plush in pink and blue polka dot ponies. Infant safe.